WVU Tech was among dozens of WVU campuses, colleges and departments at the Capitol complex in Charleston today for WVU and WVU Extension Service Day at the Legislature. Hundreds of 4-H students from throughout the state visited the complex for the day’s activities. 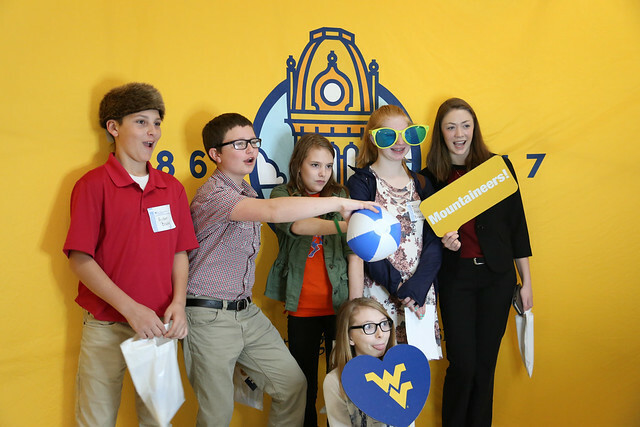 They visited interactive booths, took their photo with the Mountaineer, signed a giant birthday card to help celebrate WVU’s 150th, sat in on legislative sessions and met with the presidents of WVU, WVU Tech and Potomac State College.